Recuperating from surgery has it’s ups and downs. For one, spending quality time with one’s DVD collection is an up. Getting bored with it … a down. Laying in bed all day is definitely an up. Laying in bed all day with pain, such a downer. Why buy the movie, you say? I’m a sucker for a tear jerker. I’m also a sucker. So that answers that. Anywho, watching the DVD extra on the making of the film was educational. 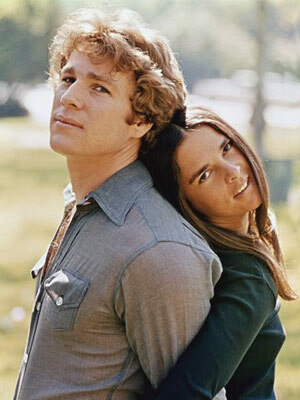 The biggest piece of education was from director Arthur Hiller. He talked about editing the movie and starting off with the scene when the boy finds out he’s about the lose the girl. But it didn’t feel right, he said. Sure that the audience would feel bad but they didn’t know the girl. And she was the story. So he moved the pivotal scene toward the end. Just by moving it, he achieved an emotion to the story that wasn’t there. That meant that the audience has to fall in love with one of the characters to mourn their loss. That final scene is enough to get the tissue out for me. So how does that translate into writing. Well, when telling a story, it’s important to keep purpose and audience in mind. As writers we say something more than what we’re saying in a story but how often do we think of our novel or short story as a full experience? It’s difficult to think of a story as a collective or as something that will no long belong to us once we’re done with it. Instead, our work is part of our souls, our children if you will, looking and longing for acceptance. Hiller’s lesson in this is to think of audience, of readers and their experience with your piece. Afterall, it’s the reader’s time your wasting just writing whatever foolishness you want.